As an adult it’s easy to forget what it was like being a kid. On our quest to educate our children we can sometimes push resources on them that are… well, boring! Think back to your time in school, who was your favorite teacher? Someone who made that subject fun right? What about cherished memories? Have you noticed they have something in common? You are happy! I could reference plenty of studies that prove this but I don’t want to bore you! It’s a known fact, we learn faster when we are having fun. That’s why Chinese cartoons for kids is a good way to help your child to improve their Chinese skills. It’s something that requires no extra work on your part but actively engages with the child’s language skills. Cartoons are a fantastic tool to teach target language. They usually involve a simple story and contain repeated words and expressions. Because they are short and fun, children can watch them without getting distracted. 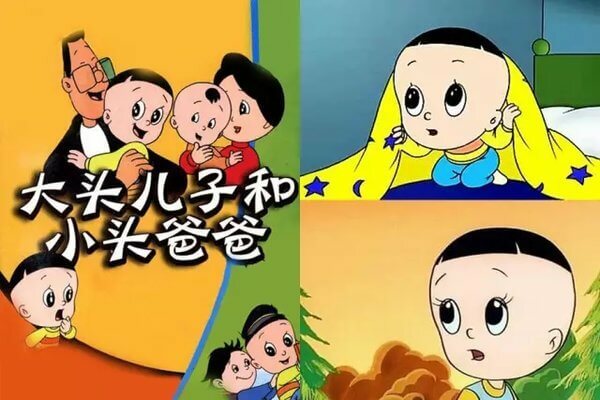 Chinese cartoons for kids can be a very effective way to reinforce Chinese language learning. For some of them it allows you to introduce cultural elements. Chinese games that your children often play can be changed to support Chinese language learning, too. Bellow I’ve made a list of the top Chinese cartoons for kids that you can use to introduce new words to your child. This is actually a Japanese animation but if you’ve ever visited China you will see it’s very popular. As a kid I also watched this but to learn Spanish (it helped)! One of the things I loved about China was that I could find Doreamon decorations everywhere. 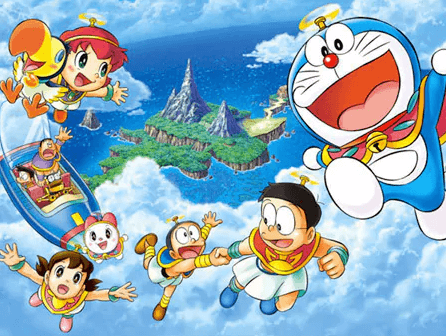 Doreamon is a robotic cat from the future that grants wishes to Nobita. These wishes always go wrong though but serve as a way to teach the little boy a life lesson. You will notice from our list that many of the Chinese cartoons involving children are often named after a bodily feature. In this case TuTu the leading Character has… you guessed it! Big ears! This cartoon is designed for preschoolers so it features lots of silliness and very easy to understand target language. TuTu is very curious and asks many questions that will for sure intrigue your child. I love this cartoon because without it being super obvious it introduces a part of Chinese culture. The cartoon is drawn in a Chinese painting style and follows a cute monkey. He of course is a little mischievous and gets into some trouble. But by the end of the episode he has learnt his lesson and becomes a better person. So will your children after watching this. As a kid I loved to watch this! So I was happy to notice when on Netflix that it now comes with a Chinese version, both simplified and traditional. This show is sure to keep the sharpest of kids entertained as they discover amazing wonders. Although there are new characters it’s a continuation of the older show, so you can ensure its quality is the same. 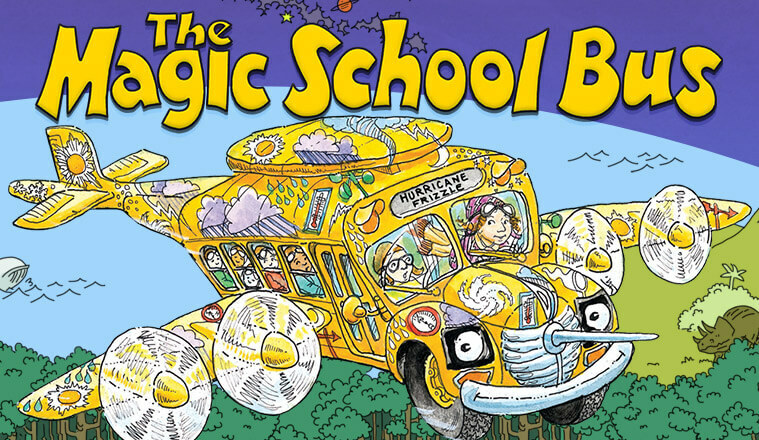 In this sequel the keys for the bus are passed on to Ms. Frizzle’s younger sister as she retires from teaching. Expect lots of new exciting new field-trips. Based on a popular book series it has countless TV series, films, and cartoons created to portray the stories. If I have to think of an iconic book series for children in China, this is it! Everyone knows Journey to the west and everyone has read it! The episodes are short at just 11 minutes each so you can watch a few at a time! It follows Sun Wukong who some of you may know was born from a very special magic stone. But he was very naughty so was imprisoned underneath a mountain for five centuries for causing havoc in heaven. He is then set free by the Monk Tang Sanzang. They then set together on a journey to the West. This troop isn’t complete though, two other (Zhu Bajie and the Hermit Sha Wujing) friends join. They face lots of difficult adventures that brings them all together and serve to teach Sun Wukong not to be so naughty. Another Chinese animation! These short 13-minute cartoon episodes are so popular that they have now been translated into other languages, even to English. The series features two bears, Briar and Bramble, who try to stop Logger Vick from destroying their forest home. You’ll need to watch to find out if they are successful! 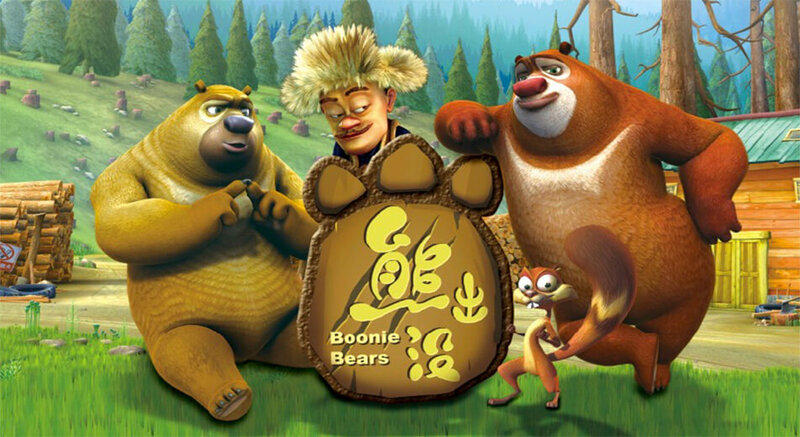 Should you wish for a longer feature, there is also a few Boonie bear films! The name may sound strange but this short 5-minute episode cartoon will be a hit for sure! It follows a 6-year-old boy as he goes on about his daily life in modern day China. Because of this it’s a great cartoon show for kids. It has events that children can easily relate to, in very simple language. You can encourage your child to use those words to describe similar events they went through, for example loosing a tooth! 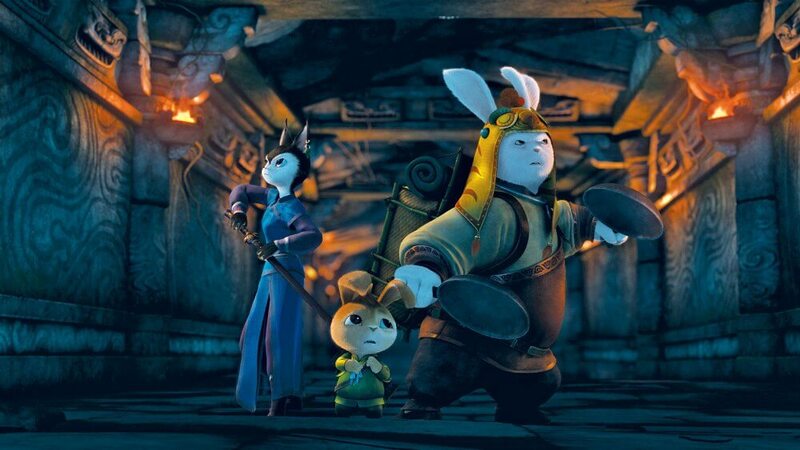 A Chinese animated, anime-influenced television cartoon series. The show is about a group of goats living on a grassland. The grassland is called “Green Green Grassland” and the story revolves around a clumsy wolf who wants to eat them. This show has a lot of repetition of words so it’s easy for even beginner learners to pick up new words. If you haven’t had enough of the little cute sheep and the bad wolf, then you can search for the films! If your kids like Finding Nemo then they will be sure to like this cartoon. It’s about the misadventures of a Chinese Minnow (PaoPao), basically a small river carp fish! This cartoon introduces a very famous Chinese folktale so it’s a great and fun way to introduce Chinese culture. Although the story revolves around PaoPao we get to meet lots of fun sea creatures in his adventures. If you want to teach your children about famous Chinese sights, then this is the cartoon for you. It features many of the famous sights and typical food. This cartoon revolves around a simple minded guy called Lord Rabbit who has one passion in life. Can you guess what it is? It’s to make the best fried cakes in the world. However, he is instead entrusted by a monk to deliver a very important token to the masters’ daughter in Beijing. If your child likes Kung Fu Panda, they will enjoy this cartoon. There is also a book based on Lord Rabbit! This story follows a young master named Shao Xing as he fights injustice. It is based on the Ming and Qing eras and therefore shows a glimpse of the rich Chinese history. The cartoons all wear typical clothes and even the buildings are similar to what would have been found. Based on a popular Han legend it features Chenxiang the son of a Goddess and a mortal. Because his parents love is forbidden in the heavens his mum is imprisoned under a mountain. Sound like a familiar punishment? That’s because it’s what happens in Journey to the West (spoiler alert The Monkey King features)! In this story we follow Chenxiang as he tries to save his mother. Although it sounds like a heartbreaking story it’s done in a very lighthearted way for kids. It includes some fantastic songs that will be sure to grab your child’s attention. Although they may be humming them for days! 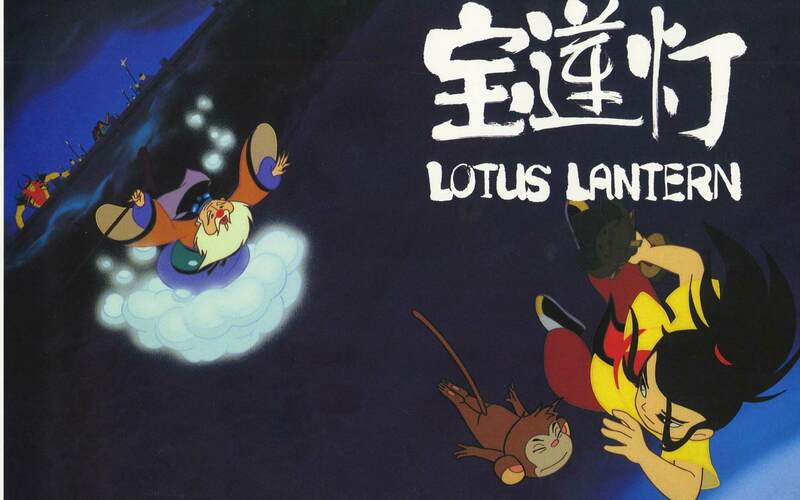 This is a classic animation which is based on Chinese traditional water-color paintings. Although it’s quite old it is timeless. It follows the story of little tadpoles who are trying to find their mother after she has laid her eggs and swam away. They meet different creatures in the pond and ask around to try and find their mum. It has a happy ending as the little tadpoles find their mother, who was also looking for them. But they don’t quite believe she could be their mum because they don’t look very similar. That’s because mummy is a frog and the little tadpoles haven’t grown up yet! 15-Peppa Pig, Bob the Builder, Thomas & Friends, etc. Maybe your child has a favorite cartoon! The good thing is that most famous cartoons now come with Chinese dubbing. 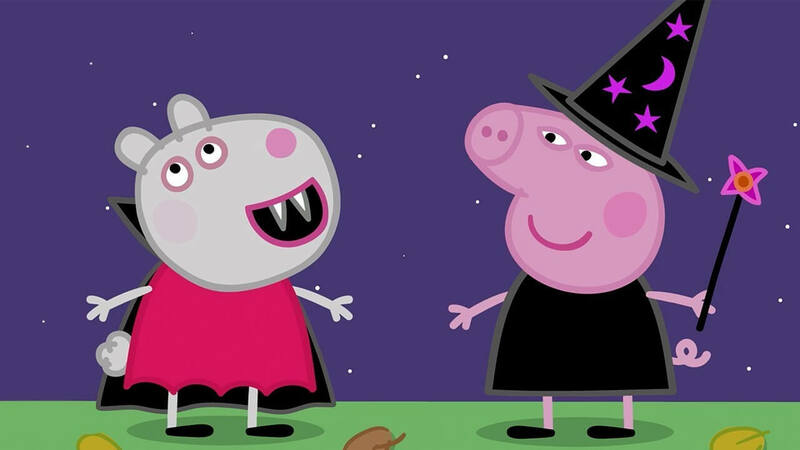 For example, Peppa pig, which is just as popular in China as it is abroad!